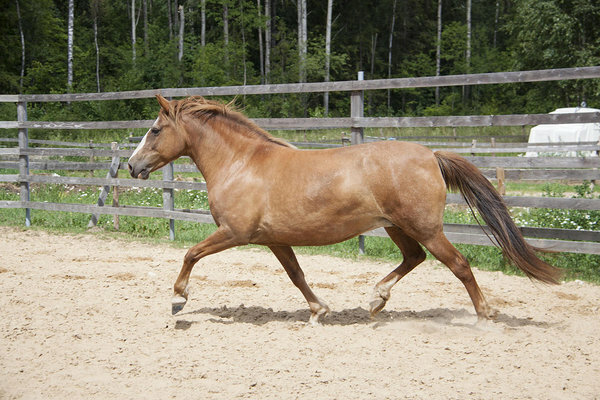 Ruupia is middle-sized, has compact body-building and very good gaits. 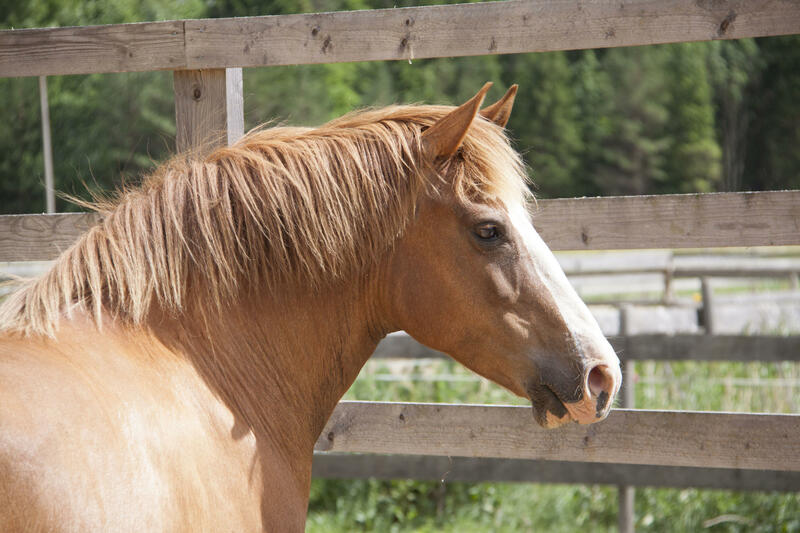 She has big beautiful eyes and wild mane hair. By nature she is a leader in herd, making her own desicions and is independent. 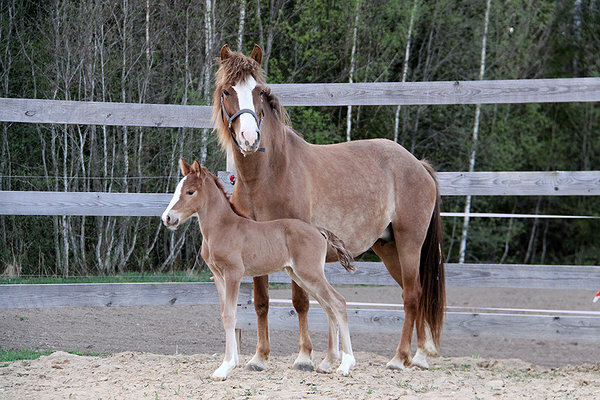 Ruupia has had 5 beautiful foals and has left them her strong sides. 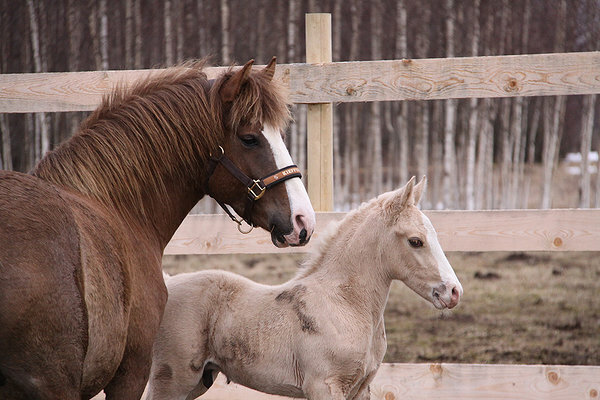 It doesn't matter, what kind stallion has been used, all the foals are still like Ruupia. 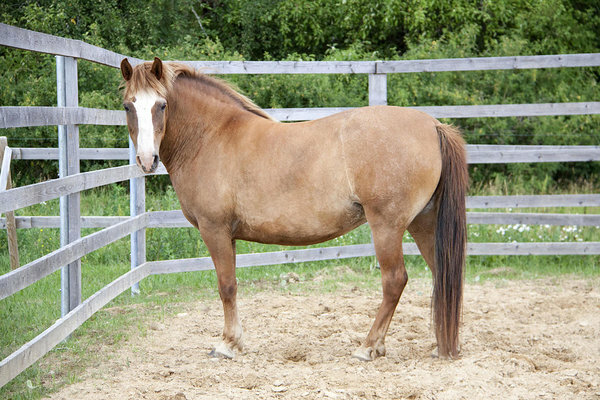 Ruupia has been ridden, but isn't suitable for beginners, needs some experience from her rider. 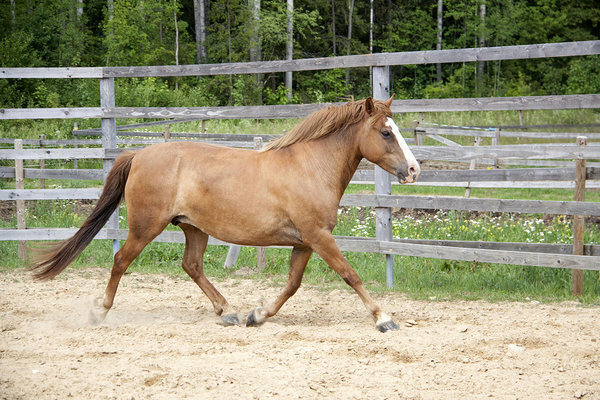 She is living outside, has been wormed and hooves done regularly. 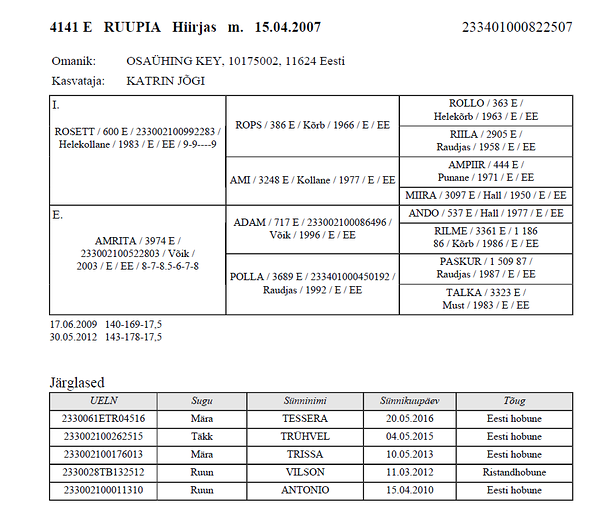 Ruupia can be mated with Estonian native stallion Ever 889E, Voore Tintin 869E or Aksel 722E. 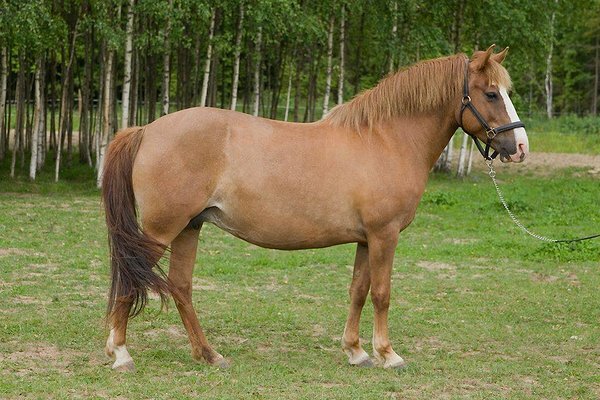 Horse is located close to Tallinn (Kohila).